Installing a microwave without a cabinet panel is possible if you have the proper tools and installation instructions for your specific model. We all have busy schedules and are often pressed for time to cook and prepare meals. This is why having a microwave is incredibly beneficial. The microwave cooks food much faster than other, more traditional methods of cooking, which means zero time slaving over a stove. This leaves you with more time to spend outside the kitchen and with your loved ones. There are several advantages to having a microwave, in addition to speed and efficiency. Microwaves are easy to clean and easier to use for heating food than your oven or stovetop. Also, unlike stovetop cooking, microwave cooking won't leave your kitchen hot and stuffy. If you don't have a cabinet panel to support your microwave, you can install it on your wall. This creates a stylish floating design in which the microwave appears to be hanging on the wall without any support. 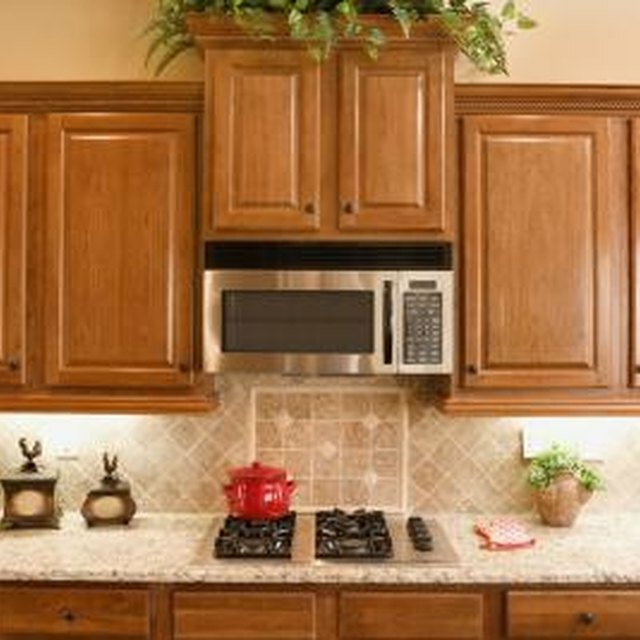 Mounting a microwave on the wall has become a popular, modern option for many homeowners that don't have upper cabinets. Whether you're installing a wall-mounting microwave or a cabinet-mounting one, the first step is always to decide on the venting option. If you're replacing an existing microwave, your best bet is to use the existing venting route. If you are mounting the microwave on an exterior wall, you can use a wall vent, otherwise, a roof vent is necessary. It's always best to consider what is optimal for your kitchen and to use the template you already have to open a vent. Installing your new microwave on the wall is a fairly straightforward process. First, determine a location on the wall that's close to an electrical outlet. Then locate two studs in the wall and mark their locations. Hold a microwave bracket up against the wall so that it rests on a single stud, taking care to do the same with the second stud. You can then attach the wall brackets to the wall studs and place the microwave on the two brackets to attach. Installing your microwave on the wall with no cabinet is easy enough as long as you have an extra pair of hands and the right set of tools. Be sure to check the installation instructions for the model you intend to install. Once you've found the studs in the wall, the job is nearly done. However, if you need assistance or have questions about mounting your microwave to the wall, contact an HVAC professional. What Size Cabinet or Type Do You Use With Microwave Drawers? How Do I Replace an Over-the-Range Microwave That is 14 Inches in Height?